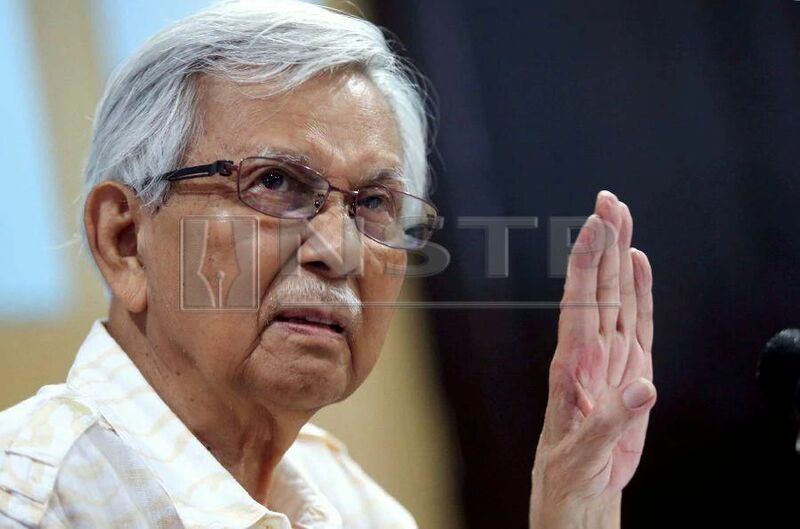 (File pix) Council of Eminent Persons (CEP) chairman Tun Daim Zainuddin says the government now should let the market determine the currency rates while focusing on attracting the right investments. KUALA LUMPUR: Council of Eminent Persons (CEP) chairman Tun Daim Zainuddin says Bank Negara Malaysia’s suggestion that the country resort to capital controls is not likely to be effective as previously. “When Bank Negara imposed capital controls during the 1997/98 financial crisis, the circumstances were different. The world was not in recession then and Malaysia could export its way out of a recession,” he said. “I think, for now, the government should let the market determine the currency rates while focusing on attracting the right investments. We must all work together for our economy to be more productive,” he added. Daim was speaking to reporters at the Affin-Hwang Capital Conference Series 2018 here today. The delicate subject matter of capital controls resurfaced after Bank Negara reportedly mooted this option should be made available. Last month, the central bank’s governor Datuk Nor Shamsiah Mohd Yunus reportedly said in an interview with Financial Times that Asian countries should be allowed to use capital flow regimen policies as a legitimate policy tool that can be deployed in a pre-emptive manner to deal with potential risk to financial market stability. She recalled Malaysia had used some capital flow measures in 2016, when the central bank clamped down on ringgit trading in the offshore non-deliverable forwards market to stem the currency’s fall amid an emerging market sell-off following the election of Donald Trump as US president.